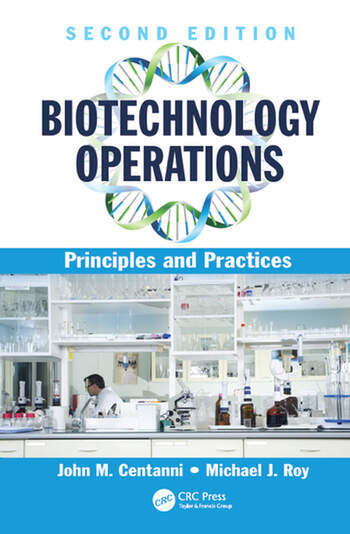 This book describes seven areas in the field of biotechnology operations as practiced by biopharmaceutical firms and nonprofit institutions. Revisions focus upon changes that have occurred in several areas over the past six years, with emphasis on regulatory, biomanufacturing, clinical and technical information, along with processes and guidlines that have added to the discipline. Examples are increased for new technical fields such as cell and tissue engineering. Further, illustrations or figures are added to each chapter to emphasize particular points. Introduction to Biotechnology Operations. Project Management.Regulatory Affairs.Regulatory Compliance.Quality Systems.Biomanufacture. Quality Control. Nonclinical Trials. Clinical Trials. John M. Centanni is a regulatory affairs specialist with the University of Wisconsin School of Medicine. He has over twenty years of experience in the field. He has been an active consultant in this area with the FDA and a number of biopharmaceutical companies. Michael J. Roy is an emeritus professor, who has been an active educator, practitioner and consultant in biotechnology operations over the past twenty-five years. He has published over 100 referred papers in drug develeopment and biopharmaceutical operations.